Thanks, hadn't noticed the Goodie boxes. A good way to try different foods for fussy eaters. Hello Kerry. Welcome to HUKD. You'll soon learn to ignore voting around here. It's about as useful as an MP in Westminster! ;) If one person finds your post helpful, you've done your job. I gave it heat but it registered as cold. How odd. Love the toy but crazy delivery cost. If you think that's expensive I've just paid £40 for 6kg of orijen puppy food! bitiba is probably the best place for this. buy 2 and get free delivery. It is £59.99 for two bags. i went down the raw food diet for my dogs a while back, untill they got very sick. never went back to that butchers again. This is the price is usually is....not really an offer tbh. We buy the two pack and get them for £31.50 each (£63 for the double pack). Cheaper if you pay for the annual discount. Yes it's frozen and I get mine from a local raw food shop bit you can order direct from source such as Durham Animal Feeds (DAF) and if you are interested I would seek out your local raw food shop and take your dog in to be weighed so they can talk you through things. There are Facebook groups for support and advice too. I never seen dogs so fit, muscular, shiny and with excellent teeth as when raw fed. So is the stuff you get frozen? Where do you get it from? That's why it went so cold Dave. You've highlighted a tiny saving on the 3 pack, practically the same price as Amazon or any other retailer. If its cheaper to buy a multi pack over 3 singles, that's not really a deal either. Good luck with your next post. Kindly read the original post again. Sorry if it isn't clear. Love. What an arse. £28 pets at home 13.99 zooplus yes, thats 5% isn't it? These are great, stopped the local tom popping into my mum's and spraying everywhere. Don't know if they have updated these flaps now, but we found a couple if years ago our cats microchip was not compatible with this flap (certain types and luckily checked before we bought). Hot from me though as a good price. Great find OP-ordered. It is late, I’ve just done a load of school reports but I’m pretty sure I’ve saved some money on the extension tunnels too. Ordered the white flap &amp; 3 extension tunnels and it only came to £53.56. I have one of these going through a wall from the kitchen to the garden using their tunnel extenders. Both cats took a little bit of getting used to it, but it works great and recognise both of their microchips with ease. We have many other cats in the neighbourhood, so keeps them out too. A recommended buy from me. I use them frequently, BUT also bitiba from time to time, so compare the both. Are these the cheap ones or double delicious? I've had a couple of instances of damage &amp; on one occasion, the courier left the box out in the rain &amp; stood in a puddle for good measure. Each time Zooplus have simply replaced, but I accept that no one has a 100% CS experience with any company. I'm always amazed how 'savvy' HUKDers don't know the difference between AGAIL and regular Felix nor between 40 and 44! Thanks, just got the next 6 months worth for around the same price as Aldi dry food, my cats will love you! £7.99 shipping fee to Northern Ireland. Free if spend over £79. Still a hot deal though. Thanks op. I amended it &#x1F60F; didn’t even knew there is a minimum order value as I normally shop there monthly with over £100 spending. I agree, that Minimum order value should be in the title. Minimum order of £19 , cold from me. Doesn't mean it's good for her..
For the dog owners that only look at the front of the bag... Ingredients Chicken by-product meal, brown rice, oat groats, brewers rice, corn gluten meal, natural flavors, chicken fat, pork meal, dried plain beet pulp, powdered cellulose, grain distillers dried yeast, wheat gluten, fish oil, vegetable oil, sodium silico aluminate, potassium chloride, calcium carbonate, psyllium seed husk, vitamins [DL-alpha tocopherol acetate (source of vitamin E), inositol, niacin supplement, L-ascorbyl-2-polyphosphate (source of vitamin C), D-calcium pantothenate, biotin, pyridoxine hydrochloride (vitamin B6), riboflavin supplement, thiamine mononitrate (vitamin B1), vitamin A acetate, folic acid, vitamin B12 supplement, vitamin D3 supplement, menadione sodium bisulfite complex], fructooligosaccharides, sodium tripolyphosphate, salt, taurine, trace minerals [zinc proteinate, ferrous sulfate, manganous oxide, sodium selenite, zinc oxide, calcium iodate, copper sulfate], choline chloride, glucosamine hydrochloride, marigold extract (Tagetes erecta L.), L-carnitine, green tea extract, chondroitin sulfate, rosemary extract, preserved with mixed tocopherols and citric acid. Very poor ingredients, full of cheap fillers and by product leftovers. If you must feed a dry food / kibble then try something like Orijen / Acana (and no it wouldn't work out more expensive as you wouldn't need to feed as much because it is much more nutritious than this bag of ***t). Plenty of other choices that have miles better ingredients for the same price, just do your research instead of being sucked in by the heavy marketing (mars). Food for Labradors, lol. Try taking her bowl away when I put some in. I must admit I did think of that just after I had posted. Looks like you get a really good selection. Last year it was 1kg bags, so I assume it will be 5 x 1kg bags. I only ordered mine today, so not sure. The portion size will be different depending on the brand because of the protein content. Sure, although keep in mind it was a cheaper/smaller box last year! 3 different tins/trays of wet foods (Forthglade, Naturediet and something else) 2 x 1kg bags of dry food (purizon single meat and pooch and mutt health and digestion, grain free) Lilys Kitchen bedtime biscuits, James Wellbeloved grain free treats, dental sticks and mini dental sticks. 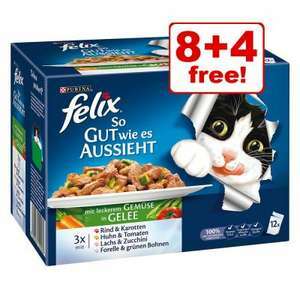 The % of meat included in brands like Felix is only around 4% and can SUGAR really be good for your cat? Ingredients for Felix Meat Menus in Jelly: Meat &amp; animal by-products (min. 4% of each listed variety), vegetable protein extracts, fish &amp; fish by-products, minerals, sugar. Meat &amp; Fish Menus in Jelly: Meat &amp; animal by-products (min. 4% of each listed variety) vegetable protein extracts, fish &amp; fish by-products, minerals, sugar. A much better choice on Zooplus will be either: Animonda Carny Adult Saver Pack 12 x 800g --- £18.99 ( £1.98 / kg) - cheaper than Felix's £2.10 / kghttp://www.zooplus.co.uk/shop/cats/canned_cat_food_pouches/rafine/animonda_carny_adult/585477 Example ingredients: Pure Beef: beef (65%, meat, heart, lung, liver, udder, kidney), calcium carbonate. Or: Bozita Canned Food Saver Pack 20 x 410g --- £17.99 ( £2.19 / kg) - only slightly more than Felix's £2.10 / kg http://www.zooplus.co.uk/shop/cats/canned_cat_food_pouches/bozita/bozita_canned_cat_food/359330 Chicken (22%), beef, pork, sodium chloride, calcium carbonate. Hills science plan dry dog food at zooplus 12 kg chicken or lamb now £29.99 RRP £50.50 on offer at the moment atPets at home £35.99 same size. Zooplus was founded in Munich, Germany in 1999 and was one of the first companies to realise the potential benefits of selling animal food and toys over the World Wide Web. Nowadays, it has expanded across Europe and offers all manner of pet products at low prices, with the ability to deliver to anywhere in the UK. 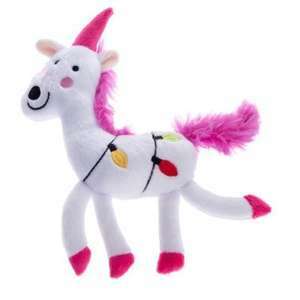 Zooplus is exclusively an online retailer in the UK, and their online store at www.zooplus.co.uk carries over 8,000 different products. Dog – Includes dry and wet varieties of dog food from leading brands like Royal Canin and Hill’s, specially medicated dog food for certain deficiencies and conditions, dog treats and bones, supplements, raw dog food, beds & baskets, grooming accessories, kennels, leads, collars, toys, feeders & bowls, agility training tools and products specially designed for puppies. Cat – Includes dry and wet cat food from big name brands, cat litter and trays, cat trees and scratching posts, collars, bells, name tags, supplements and specialist diets, treats, shampoos and grooming kits, cat flaps, nets, beds & baskets, toys, bowls, feeders, transporters and kitten products. Small pet – Features special foods for small pets, small pet cages, rabbit and guinea pig hutches, runs, enclosures, forage and snacks, accessories for cages, toys, straw and bedding, travel boxes and grooming accessories. Bird – Includes bird food, cages, accessories for cages, toys, snacks and crackers, food supplements, bedding and litter and items for the garden such as bird baths and feeders. Aquatic – Includes fish food, water care products, filters and pumps, lighting, aquarium plants and decorations, items for the garden pond and aquarium tanks. Horse – Includes specialist horse feed, supplements and treats and accessories like grooming kits, bridles, sprays and shedding tools. Veterinary products – Medicated food for pets from leading brands like Hill’s and Royal Canin. 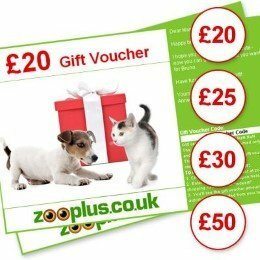 Shopping at zooplus.co.uk is simple. Just click on the products that you want and add them to your shopping basket. Then checkout as normal. You don’t need to register in order to checkout, but becoming a Zooplus member comes with some useful perks. For example, you can checkout faster, enjoy discounts on future purchases and start to collect loyalty points with every purchase. If you don’t feel like adding your personal information, just checkout as a guest. Zooplus members collect 1 bonuspoint for every £1 they spend at the online store. You can claim rewards with as few as 29 points in your account, just visit the Rewards shop and add the items you wish to be rewarded in your shopping basket. Members also receive a regular newsletter, featuring all of the firm’s current deals, and any special offers for reward point holders. Loyalty programme members can also earn extra points by referring friends to the scheme, with a voucher for each referral. Zooplus is famous for its low prices and regular offers, and there are always discounts on the site. The easiest way to find the most recent deals is by visiting the Special Offers section of the home page. Here you can see any clearance sales, vouchers and coupons and special offers for particular pets. 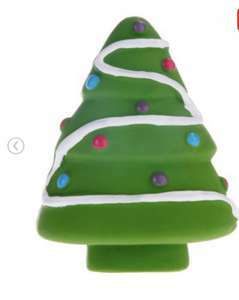 Zooplus also runs seasonal sales around Christmas and summer, as well as Black Friday deals in November, so check the site around then so that you don’t miss anything. If you need to keep up to date with the latest discounts, the HotUKDeals Zooplus pages will provide all the information you need. Zooplus accepts the following payment methods for online customers: Visa Debit and Credit, MasterCard, Maestro, American Express, PayPal and Bank Transfers. All payments are protected by SSL encryption, and Zooplus has a policy of never sharing customers’ data with marketers or other third parties. Zooplus uses both Yodel and DPD to process their deliveries. All orders are processed within 24 hours of completion, and your items should be received 2-3 days after they are despatched. With Yodel, deliveries up to £29 come with a £2.99 charge, but deliveries over £29 are free. With DPD orders up to £39 come with a £2.99 charge, but are free of charge above that point. However, choosing DPD means that you will receive SMS notification on the day of delivery, real time tracking, the ability to change the delivery date and a 1 hour time slot. Any items can be returned to Zooplus within 14 days of receipt and the company will issue a full refund, as well as covering the cost of returning the item. To initiate the returns process, you will need to inform Zooplus of your decision. You can do this via an online contact form, give the retailer a call or email the Customer Services Team. Have your article number ready when you call or provide it with your inquiry. This should have been sent to you when the items arrived. Zooplus will then issue you with a unique return ID. You can also ask them for a free returns label which will enable you to post the item free of charge at a Royal Mail post office. Now, complete the return form you received with your items. You don’t need to send them in their original packaging, but try to package them in as near as possible to their original state. Additionally, the company has a regularly updated blog which is well worth bookmarking. The company uses the blog to offer tips about pet feeding and to announce sales in advance. Zooplus also runs its own pet-community forum called ZooClub, which brings together pet owners to discuss their animals and how to care for them. Another great way to interact with Zooplus is by using its smartphone app. This allows you to browse products and make purchases, manage your loyalty points, manage orders and request returns, scan products and add photos to your ZooClub account. You can download it for iOS and Android devices. The easiest way to make contact with Zooplus is probably via the online contact form. Zooplus promises to respond to all queries within 24 hours. However, for minor questions and basic issues regarding ordering, delivery and returns, the Zooplus home page has an informative FAQ section that should suffice. Pet food and toys can be expensive, but not when you shop online with Zooplus, the UK’s leading online pet products retailer. The company sells everything for pets, from grooming brushes to vitamin supplements, and you can find all of their latest discounts at the HotUKDeals Zooplus listings.